Have you ever noticed that camera straps aren’t really designed for comfort? Dangling your expensive and heavy gear can be a pain in the neck and doesn’t necessarily keep your camera safe from hitting objects or people as you go about your day. 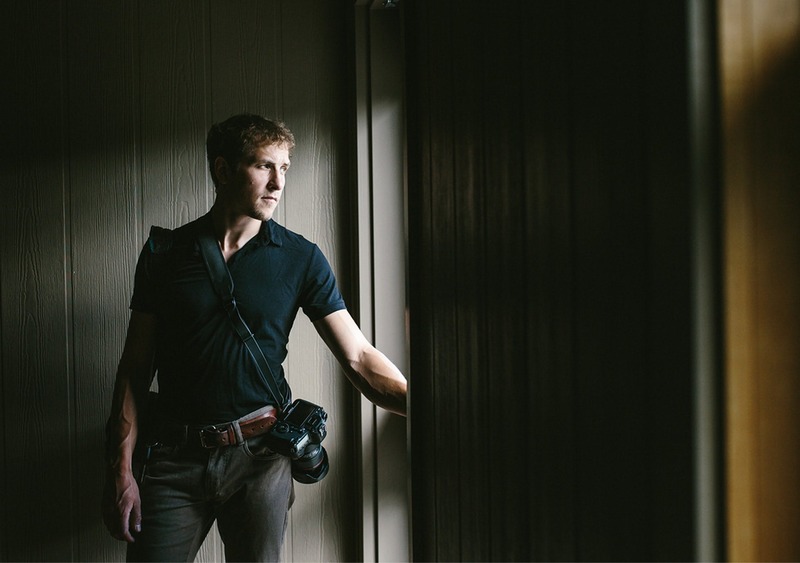 You’ll see a lot of people take their standard camera strap and wear their camera on their side, either across their body or on just one shoulder. Both work, but hanging from one shoulder isn’t particularly safe for your camera, and across your body doesn’t make for easy access to your camera. 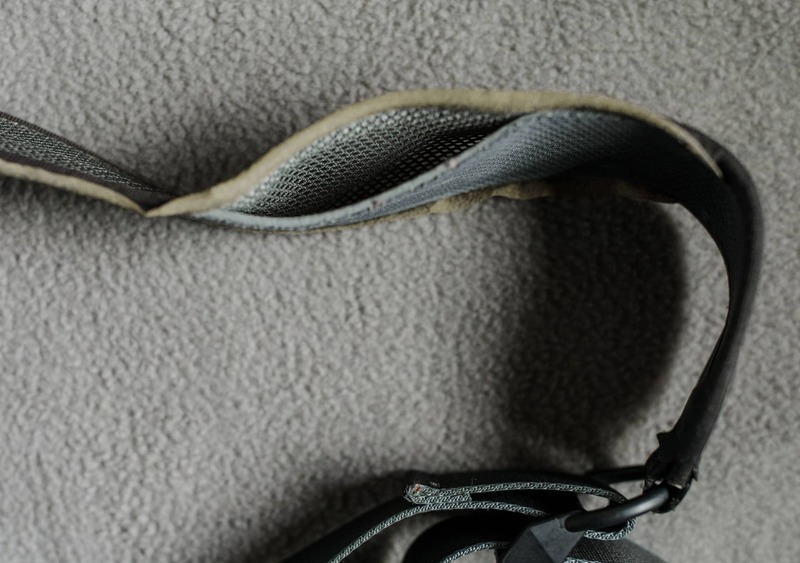 Enter: the Joby UltraFit Sling Strap. The Joby UltraFit Sling Strap is ergonomically designed to sit across your body, placing the weight of your DSLR and lens on your shoulder muscles rather than just on your neck. When in the locked position, your camera is tucked neatly against your back just behind your less dominant elbow, which gives you a lower profile and keeps your camera out of harm’s way. If fitted correctly and cinched right in, your camera won’t swing as you walk, which is better for both your bodies. Currently, Joby offers three sling straps. The men’s UltraFit Sling Strap, women’s UltraFit Sling Strap, and the Pro Sling Strap. All of them come in black with middle grey accents. With the men’s and pro straps you have multiple options for sizes, whereas the women’s is one size fits all. The women’s strap is designed for a narrower frame and has a slight curve in the strap for a more comfortable fit around the female figure. The Pro strap is made from slightly different material than the standard UltraFit, which makes it a little more heavy duty and a bit heavier (88g for women’s, 99g for men’s, 110-116g for Pro). The Pro is made of ABS plastic, Nylon webbing and steel, whereas the Ultrafit is made of Aluminum, Glass-Filled Nylon Plastic, Nylon Webbing, Stainless Steel, Steel. Basically, this buffet of super fancy technical materials creates the perfect combo to NOT drop your camera. Bonus! The Pro version also includes the camera tether (redundancy strap), which gives you added security in case your tripod mount fails. The Pro version does not come in men’s and women’s, but does have multiple sizes to choose from. 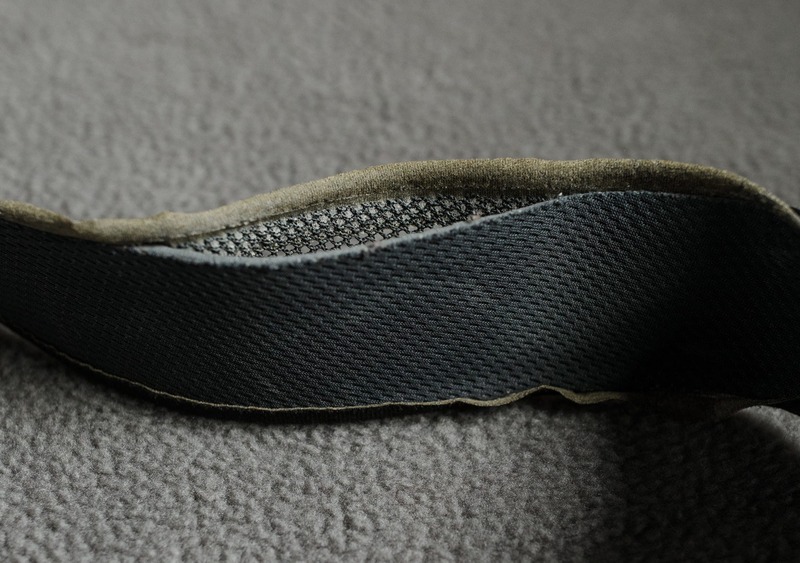 At the time of publishing this review, the UltraFit Sling Strap retails for about $30 USD and the Pro Sling Straps are $40 USD. Originally there was no camera tether to add to your purchase, and going without seemed like an unnecessary risk, but now you can add on the camera tether to the UltraFit Sling Strap for an extra $8 USD. 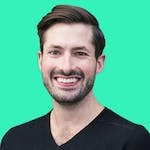 So, for less than the cost of two lattes, you get extra security and peace of mind for your thousands of dollars worth of gear—money well spent. 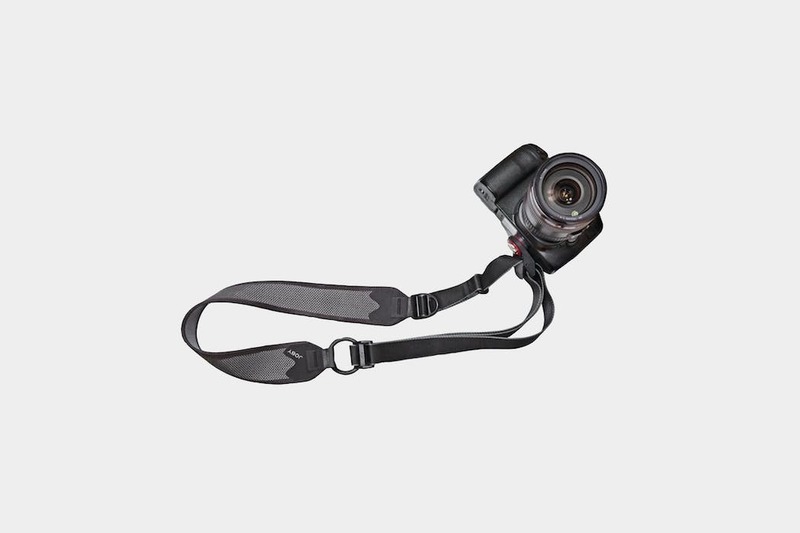 The UltraFit utilizes a patent-pending design called SpeedCinch™, which is a pulley system so you have easy access to your camera when you want to take a photo. 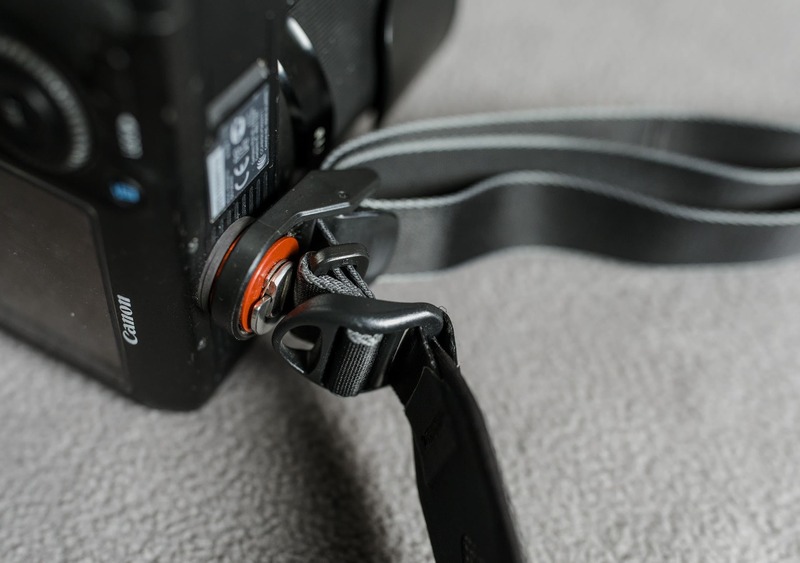 This makes grabbing your camera for a quick photo a cinch; no more trying to untangle yourself from your camera strap in order to take a photo, just reach for your camera and pull it to your eye. The pulley system lengthens the strap automatically so you don’t have to fiddle with anything, provided you’re not in the locked position. The lock sits right by the camera mount and can be unlocked rather quickly with the purposeful flick of your thumb. There’s a ring that sits at your breast bone you can use to help you adjust the camera back to your resting position when you’re done taking a photo. At this point you can either decide if you want to lock your camera into that position or keep it ready for the next photo. If you leave your camera unlocked, it can slowly work its way down your side with the weight of the camera. The camera attaches to your strap through a standard tripod mount. There is a rubber pad that will sit flush against your camera body so it doesn’t damage your camera if you tighten it a little too much. It tightens easily with a half moon turn system, or you can use a good ole quarter or a Twoonie (not to be confused with the two pounds sterling, which may be a bit too wide for this purpose). The cinch system is a little on the stiff side and takes some getting used to, but it sure is comfortable! The cinch system loosened up and everything is working beautifully! Would feel much more comfortable with the camera tether. SO COMFORTABLE! Noticing it doesn’t fit in some camera bags as well as it used to now that it has the bulky portion of the strap at the tripod mount. Super easy to use. Loving how tight the camera stays to the back while walking around. It’s now a go-to strap. It does slide down the side a ton if it’s not in the locked position, which is a bit annoying but an easy fix. Neck has forgotten what a normal camera strap feels like. Not showing very much wear, despite being on the camera all the time and being used on a daily basis. Still comfortable. Added a camera tether and feeling much better about it. Never had an issue with dropping the camera, but why take the chance? The seams are starting to go on the strap. It looks like they were glued on rather than sewn. Still working great, but looking a little worse for wear. Seams are 3/4 open on one side and 1/4 open on the other side. It looks terrible, but doesn’t feel any less sturdy. The nylon webbing is starting to show some wear as well with a bit of fraying, but it doesn’t feel like it’s lost any integrity. Easy access to the camera when on the go. Low profile when it’s in the resting position. Neck pain is a thing of the past. Only one size for women’s sling strap. Does not automatically come with the camera tether. Starts off a little stiff and there’s a bit of a learning curve with the cinch system. The Joby UltraFit Sling Strap is a much needed camera strap alternative that keeps you comfortable, your gear safe and doesn’t hold you back from taking that shot you absolutely have to have.